Leganés and Real Madrid face at Estadio Municipal de Butarque, in a match for the 32th round of the Primera División. In the last league head‑to‑head, played in 01‑09‑2018, Real Madrid got a home win by (4‑1). The head‑to‑head record at this stadium favours the away team, since in the last 4 head‑to‑heads they won 3 and lost 1. Nevertheless, in the last head‑to‑head played at this stadium, for the Copa del Rey, on 16‑01‑2019, Leganés won by (1‑0). M. Braithwaite (30' ) scored the only goal of the match. Both teams register significant differences between home and away results, so the home/away factor is worth atention. The home team is currently in the 11th position of the league, with 40 points won, after 10 wins, 10 draws and 11 losses. In the penultimate match, they won in a home match against Real Valladolid, by (1‑0). In the last match, they tied in an away match against Deportivo Alavés, by (1‑1). This is a team that is often stronger at home, with the help of its supporters, so they usually make good use of the home advantage, since in the last 30 matches they register 4 wins, 4 draws and 7 losses in away matches; against 7 wins, 6 draws and 2 losses at their stadium. For the league, Leganés won 19 points out of 30 possible points, after 5 wins, 4 draws and 1 loss in the last 10 home matches. Their offense has scored frequently, since they have scored goals in 7 of the last 10 matches for this competition. In their home matches for this competition there is a tendency for few goals, since 11 of the last 15 matches have ended with Under 2,5 goals. They have conceded the first goal in 18 of their 31 matches for this competition, and have only turned the score around in 1. 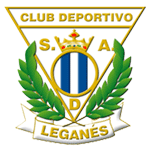 Leganés come to this match with a 1-1 draw at Alavés, thus making it the third straight match without losing in this competition: Jonathan Silva scored the team's only goal. Usually the hosts play in 5-3-2, favoring a slower style of play, channeling their game mostly through the aisles. In this tactical formation, the two most advanced players are Carrillo and Braithwaite, but the Moroccan En-Nesyri is Leganés' top scorer, with 8 goals scored. Coach Mauricio Pellegrino has in doubt Recio, Szymanowski and Omeruo. Confirmed Lineup: Pichu Cuéllar, Bustinza, K. Omeruo, J. Silva, A. Nyom, D. Siovas, Eraso, Rubén Pérez, Mikel Vesga, M. Braithwaite, G. Carrillo. The away team is currently in the 3rd position of the league, with 60 points won, after 19 wins, 3 draws and 9 losses. In the penultimate match, they lost in an away match against Valencia, by (2‑1). In the last match, they won in a home match against Eibar, by (2‑1). This is a team that usually gets better results in away matches than at home, since in the last 30 matches they register 10 wins, 2 draws and 3 losses in away matches, with 30 goals scored and 18 conceded; against 9 wins and 6 losses at their stadium, with 26 goals scored and 21 conceded. In the last 10 away league matches Real Madrid has a record of 7 wins, 1 draw and 2 losses, so they have won 22 points out of 30 possible. Defensive consistency hasn’t been their best feature, as they have conceded goals in 8 of the last 10 matches, but their offense has scored consistently, as they have scored goals in 9 of the last 10 matches for this competition. In their away mathes there is a tendency for goals, since 12 of the last 15 matches for this competition have ended with Over 2,5 goals. In 31 matches for this competition, they have conceded the first goal 14 times and have only turned the score around in 4. Real Madrid come to this game after a 2-1 home triumph over Eibar, returning to victories after defeat against Valencia: the teams two goals were signed by Benzema. The Merengue team usually play in a 4-3-3, preferring a more organized style of play, attacking, preferably, through the central aisle: Isco is one of the great organizers of the offensive process. On the other hand, the Frenchman Karim Benzema is Real Madrid's top scorer, with 17 goals signed. For this game the coach can not count on Vinícius Júnior, Mariano and Courtois, players recovering from injury. Confirmed Lineup: K. Navas, Nacho, Daniel Carvajal, Marcelo, R. Varane, L. Modrić, Isco, F. Valverde, Marco Asensio, Casemiro, K. Benzema. 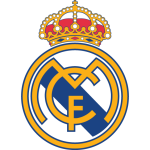 This game puts on the field two teams that have made good displays in the Spanish league, however, it is notorious that Real Madrid have a more organized squad compared to the opponent. In this way, we expect the visitors to dominate and enjoy the best opportunities to score goals, but still the home club should be able to create multiple chances through counterattacks. Having said this and also taking into account the team's offensive skill, we believe that betting in favor of a multi-goal game is the best option. Note: On the graphics, the lay Tips were converted to Back on the other choices of that market. Market: Both teams to Score? Note: Listing of Tips made only in contests available at the Online Betting Academy.